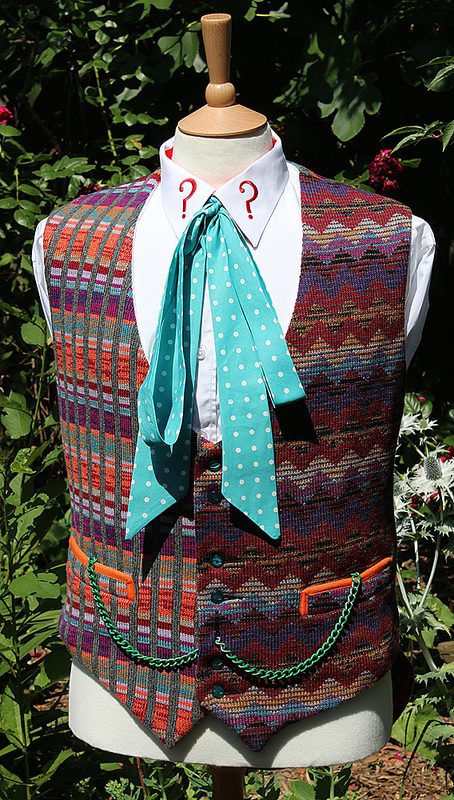 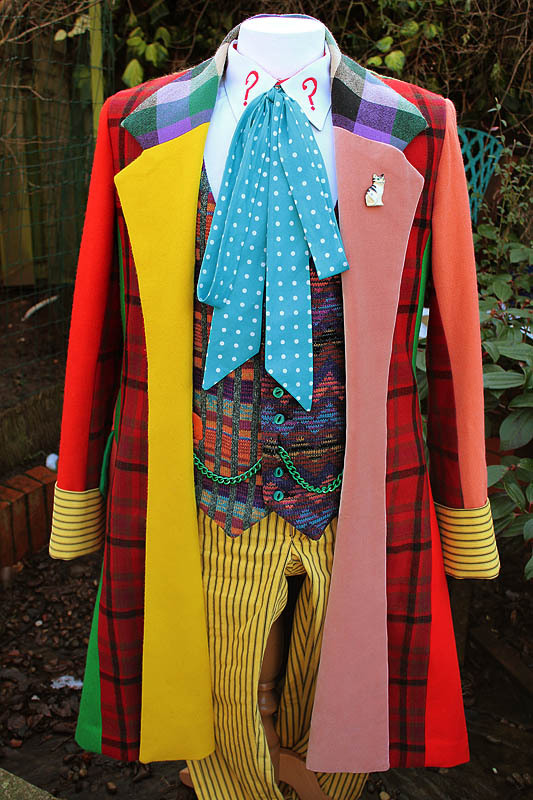 The Sixth Doctor costume on show was straight out of the Experience, though the cravat, shirt and waistcoat looked like they were from an eBay fancy dress outfit! 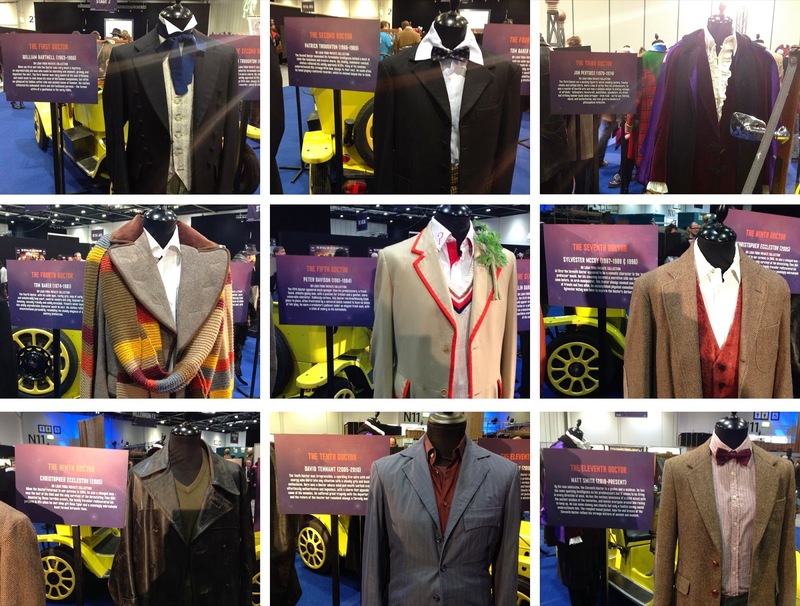 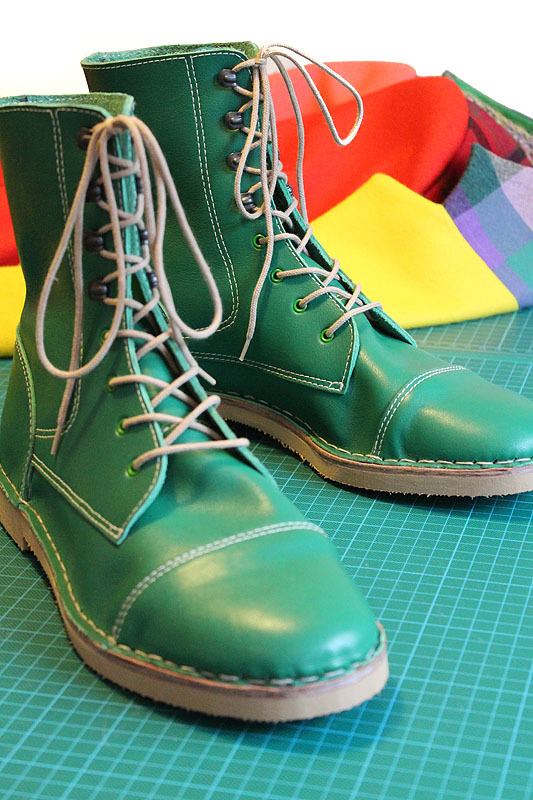 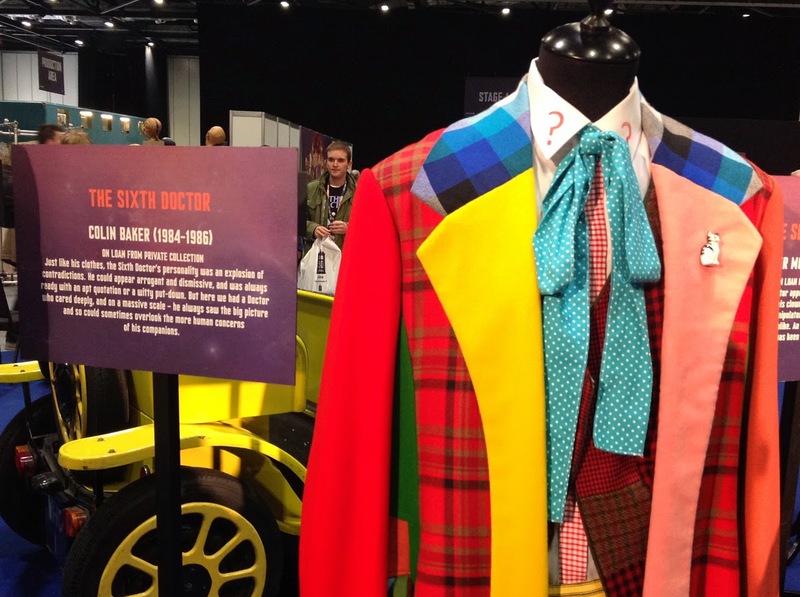 The Sixth Doctor eras was sparsely represented at the exhibition. 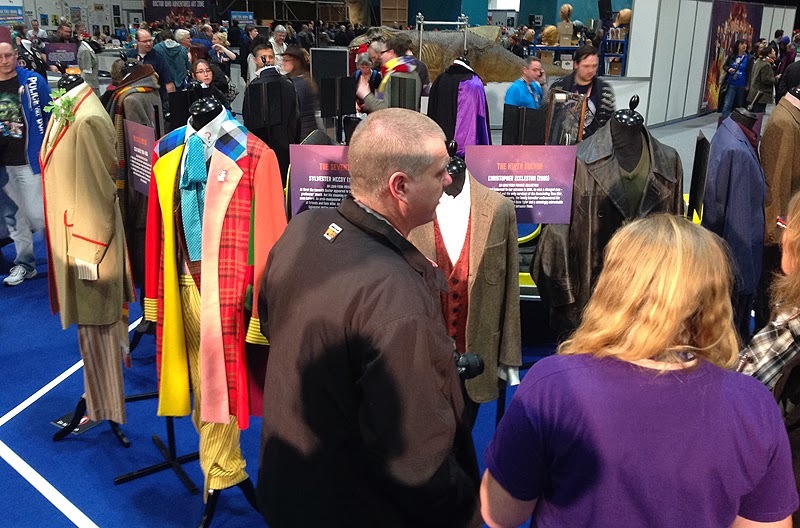 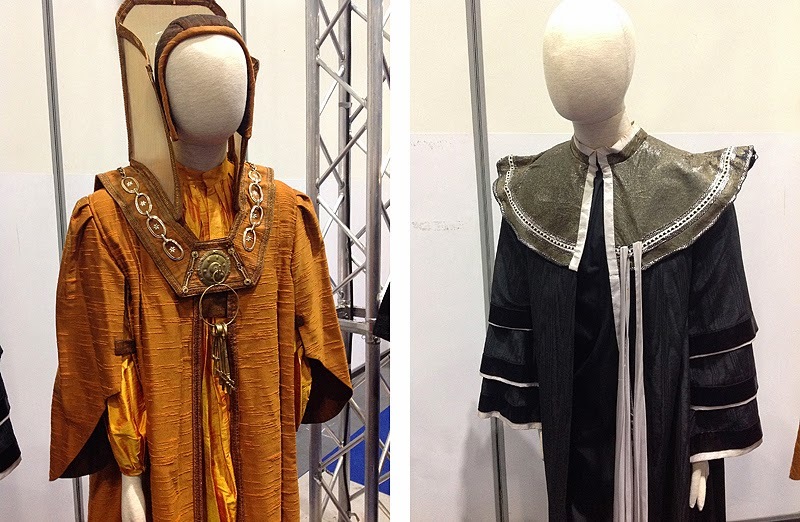 Amongst the display of Time Lord robes spanning three decades of appearances, was the Valeyard and Keeper of the matrix costumes from the Trial Of A Time Lord season.